Home » Crime & Violence » How safe is San Pedro? For many visitors, the normal process of investigating a potential travel destination allows them to make crucial decisions. Crime is a major element that may influence tourists to book their flight to another country if they feel their safety is at risk. 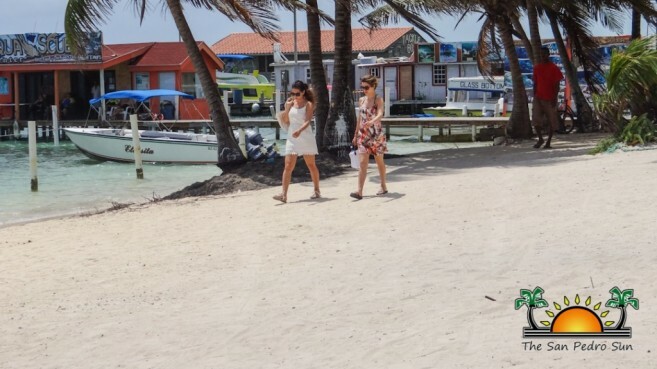 The reality of crime is present wherever you travel in the world, but because tourism is the largest industry in Belize, many question if San Pedro’s recent increase in crimes will affect it. For that matter, is the increase of crimes in Belize affecting the island’s economy? Although crime in this country has the potential to create a negative image for Belize, Deputy Coastal Executive Officer Henry Jemmott of the San Pedro police department (SPPD), believes that tourists are not the main targets of these crimes. “I don’t think crime is affecting tourism. 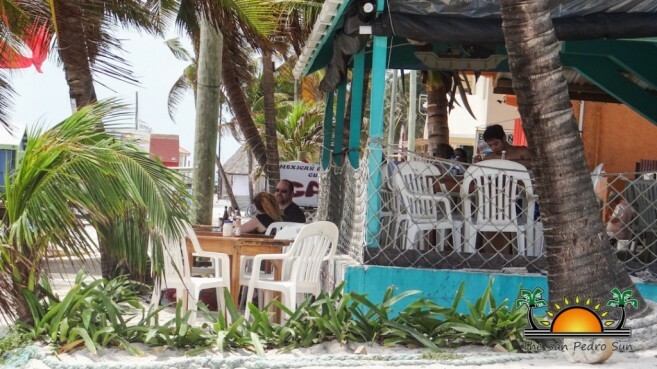 Recent crimes that have occurred are not directed at the tourism sector, but rather at the locals living in San Pedro. Tourists are not targets of these crimes, so they should not feel alarmed,” said Jemmott. 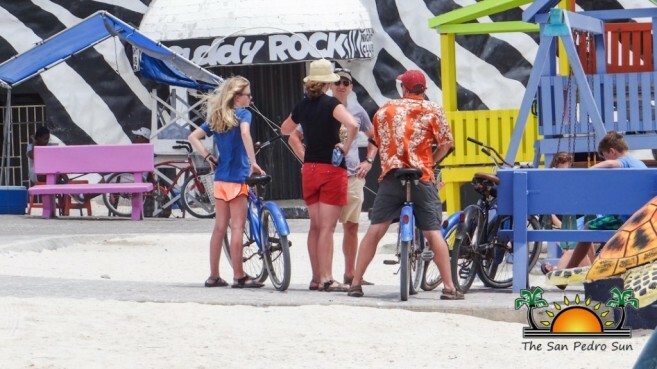 So far this year, San Pedro has not registered any serious crimes against tourists. However, high profile murders on the mainland tell a different story. The deaths of Chicago media producer, Anne Swaney and Canadian film maker, Matthiew Klink certainly caused much alarm. According to the United Nations Office on Drugs and Crime, Belize has a murder rate of 44.7 murders per 100,000 of the population. Moreover, there have been a number of isolated cases that has targeted tourists, one recently being a robbery that happened at the Maya archeological site Altun Ha. A total of eight cruise ship passengers were on an excursion there, and while taking a nature walk, six were robbed of their valuables by two armed men. Another incident involved a Canadian couple that was robbed at gunpoint at the educational center at the Belize Zoo. The San Pedro Sun spoke to a few tourists along the beach, asking them if they believe crime is affecting San Pedro’s tourism. Two-thirds of those surveyed responded “no”, while a third expressed their concern about crime and how it affects their safety. Business owners and long-time residents expressed much concern as well. “Crime has already affected the industry. Last year when all the shootings went on, San Pedro was packed in March, but when the baby got shot in April, it just dropped off completely. If authorities don’t do anything, they are killing tourism here,” said one former business owner. Residents on the other hand, believe the crime is a result of the influx of people from the mainland. One security guard told us he believes that people from the mainland come to San Pedro to commit their crimes and go back, giving the town a bad reputation. Another island resident commented that over the last several months the island feels safer, with less ‘undesirables’ walking the streets. Local law enforcement strongly encourages visitors to take precautionary measures and protect themselves from the most frequent trend of crime: crimes of opportunity. A few main tips given are to avoid traveling with original documents, carrying large amounts of cash, wearing expensive jewelry, leaving purses, bags, or luggage unattended. The Police Department makes sure to instill a high level of protection for tourists because that is the number one money earner of Belize. According to the crime statistics from January through March of 2016, the SPPD has seen a 33% increase in burglaries compared to last year. The law enforcement implores visitors and expats to secure and lock doors to houses. The four specific tips given to those visiting the island are to stay in groups, don’t get drunk, stay in areas that are well lit and don’t leave belongings unattended. Having an awareness of one’s surroundings can make a difference. For Superintendent of the Coastal Executive Unit, Sandra Bowden, looking at crime from different angles could change a person’s point of view. She explained that crime towards locals are different from crimes committed to tourists. For the San Pedro Police Department crime occurs every day, making it an issue police have to address daily with strategies placed to help reduce crime rate. 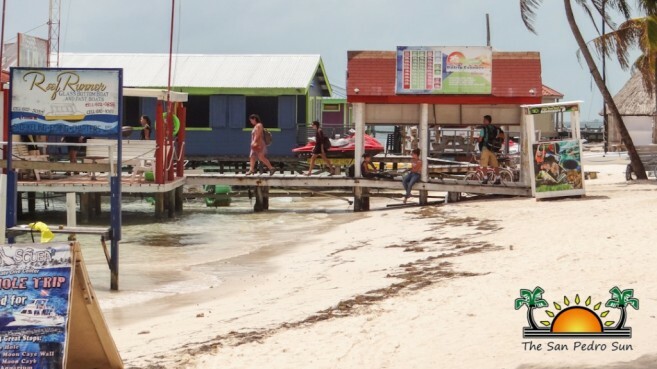 “Even though there have been incidents in the past, it did not stop, and won’t stop people from coming to Belize,” says Superintendent Sandra Bowden, including Ambergris Caye. Bowden acknowledges that crime occurs every day, and it is up to the SPPD to address the situation in a manner befitting the situation. However, she also indicated that perspective determines whether visitors stop coming or not. The public must be informed, but the manner in which publicity is generated makes a difference. “Crime happens worldwide. Just because Belize is referred to as paradise doesn’t mean we are free of crime. Visitors realize that, and we ask that they also behave responsibly and inform themselves accordingly. Their personal safety and their belongings should be a priority too,” continued Bowden. As in any other country, potential American visitors should be aware that the US Embassy alerts its citizens by issuing travel advisories when necessary. At the moment, there are no travel advisories for San Pedro, Ambergris Caye. “Crime adds to our statistics, but it does not directly affect our industry. The US Embassy is clear when problems arise. This year, they have sent out a travel advisory for the Cayo District, not for Ambergris Caye,” said Jemmott. As part of the Community Policing Initiative, a “meet and greet” is scheduled weekly on Wednesday’s or Thursday’s. It is the perfect opportunity for anyone to build a positive relationship with the police and they also encourage residents to participate. The police visit different neighborhoods, greeting people, and trying to assist with any issues in the community. Jemmott is an active member volunteer of the meet and greets. “It is like our report card. We ask the community how we could better serve them, and in that, we are given ideas on what to do and how to do it,” said Jemmott. The local police are working hand-in-hand to make everyone’s safety one the island a priority by doing more boat, mobile, bicycle and foot patrols. Over the past year, the law enforcement has also cracked down on panhandling and drug-selling. “The less crime we have, the better it is for residents on the island and for the longevity of the tourism product. If tourists come and continued to be targeted, then the island will be deemed unsafe, detracting and deterring people from staying. But we will continue to work vigorously to lower crime rates in San Pedro, so that our visitors can feel safe while vacationing,” ended Bowden.